Look for us at the Inside Bitcoins conference in New York, April 27-28. Asicspace customers are invited to our hospitality suite at the Element on Monday evening, April 27. If you want to join us, please contact us at our support email for details as soon as we have them. After firing up over 60 miners in two days, we took a break for an outing to Mission Ridge Ski Resort near Wenatchee. We'll be at the Bitcoin Conference Russia, in Moscow, April 2. With an apparent reconsideration of the proposed ban on Bitcoin (see news), this should be an exciting conference. We do not have a formal role yet, but Asicspace has been invited to contribute in some capacity on the subject of mining. Bitcoin miner hosting revealed! Ten photos of ASICSPACE's data center. See ten exclusive photos of ASICSPACE's miner hosting facility. Get your bitcoin miner hosted today! By almost any way you slice it, the fundamentals of Bitcoin - the things that should be driving the price higher - have been strengthening at a rapid clip across the past year. If you'd like to see a bevy of metrics pointing to an exponential increase in interest look no further than Bitcoin Pulse. In the heady days of late 2013, when Bitcoin was at an all-time high - the number of major businesses which accepted Bitcoin was basically nill. But look at how far we've come: today there's a who's who list of retailers accepting the digital currency, including Dell, Paypal, Microsoft(! ), Expedia, Newegg and Overstock. Disruptive technology operates via a bandwagon effect. If 2015 was a year good to Bitcoin, then we should see it everywhere in 2016. The effect of Microsoft accepting it alone is huge. Not only that - Bitcoin was the hot topic among venture funds in 2014. Nearly $100M in funding was provided for Bitcoin focused startups, all looking to make the next killer app which makes it easy enough for your grandma to use Bitcoin. Facebook blew $19B on WhatsApp this year, while the Bitcoin market cap has stagnated around $5B. For what has been heralded as a revolution in money what gives? Why isn't the price increasing? Rumors abound. Some say the price is manipulated. Other posit that adoption does not necessarily lead to an increase in price. Unfortunately, markets can remain irrational longer than you can remain solvent. I'm unabashedly a long term bull on Bitcoin, but the market needs a few cycles of shaking weak hands before sustaining another rally. I believe it's only a matter of time until we see a healthy rise in the price, and this time it will be due to improved fundamentals, and not necessarily wild speculation. Others disagree, saying the price is headed to $100, doomed to sink into oblivion and never return. Such apocalyptic sentiments though, make me smile, as Bitcoin will only find the strength to break free and rise when it's least expected. 2014: a great year for Bitcoin adoption but a terrible year for bagholders who bought in during the previous bubble. That's the way it's always been in the Bitcoin world: volatile, with fortunes to be lost and gained either way. Cheers to an exciting 2015. Spondoolies is known for maintaining great lines of communication with their customers. But as of late, they’ve been mum about their upcoming offerings for 2015. All this changed in a recent interview between Nermin Hajdarbegovic of Coindesk and Spondoolies CEO Guy Corem. In the interview, Guy let on as to what the plans of the Israeli manufacturer were over the upcoming years. Other manufacturers, like Black Arrow, Cointerra, and KNCMiner have released the details of their 2015 plans. Universally, they revolve around the release of a new ASIC around designed 14 nm or 16 nm, which employs FinFET, a method to sculpt transistors in 3D. Spondoolies is doing things a bit differently. Interestingly, they’re working on two projects: a 28 nm design, due early in the year, (around March or April) followed by a 14 nm or 16 nm FinFET design (they won’t say which) later in the year. To people who watch the industry carefully, this doesn’t come as a surprise. Sticking with a 28 nm design into the next year reflects Spondoolies conservatism, and is in line with their reputation of targeting improvements which are tested and incremental. Mining companies which have been overly ambitious and hasty in their plans risk meeting a quick demise like bankrupt manufacturer Hashfast. As Guy explains in his interview, 16 nm wafers are twice as expensive as 28 nm wafers, and mature processes like 28 nm offer better yields. Spondoolies claims that their offer will be three times more efficient than what some of the more efficient chips are today. Ambitious for sure, but if Spondoolies can nail their design, then their 28 nm ASICs will be stepping stones to a new world where miners have efficiencies of 0.1 J/Gh and beyond. Have you ever wondered what a Bitcoin mining data center looks like? Depending on the quality of the build, it can be as simple as a building and a fan, or if the miners are located in an enterprise space, it could include false ceilings and plenums with UPS's and generators. ASICSPACE is aiming for a happy place between these two extremes. We have no UPS's (uninterrupible power supplies) or backup generators, but we do have a very stable power grid with a transformer waiting on tap in the event anything should go wrong. We have a good fire detection system, pressure and temperature monitors, and CCTV and motion sensors. We are doing hot aisle cold aisle design, but without strict containment of the aisles. We're using very strong metal racks that can support the weight of heavy miners. Below you can see a picture taken near the tops of the racks. Check out the cable trays, which carry the circuits to the outlets. Will still need to run circuits and get inspected, which will be on December 29th, so we will be ready to host your miners starting January 1st! Today on December 2nd we saw something occur to the Bitcoin mining network which hasn't occurred in nearly two years - a negative difficulty change of -0.73%. For reference, the last time a negative difficulty change occurred was nearly two years ago in January 2013. A negative change means that the total amount of the hashing power which secures Bitcoin has decreased over a two-week period, which indicates that miners who are left in the game are actually mining more Bitcoin than they were compared to the last difficulty period. For miners who have low costs and have ROI'd, and are sick of 20% increases, that's good news - but overall what the negative adjustment reflects is the slow and steady decline of the price of Bitcoin from its peak in Nov. 2013. The amount of money which flows into the mining ecosystem is directly tied to the price of Bitcoin, and Bitcoin mining is a textbook example of a zero-sum game. For at least the last two weeks, mining reached a point that every new miner which came online pushed another miner offline. The advent of SHA256 specialized ASICs - hardware designed to mine Bitcoin - is what led the explosive growth of the Bitcoin mining network over 2013 and 2014. Is this negative difficulty growth indicative of a new trend, or is it merely a blip on the way to higher difficulties? With numerous manufacturers, including KNCMiner and Black Arrow having announced the release of their new chips in 2015, my bet is that the ASIC race has just begun and we're simply in the waiting period before the approaching 16 nm storm. With only four days out until the next difficulty change, BitcoinWisdom predicts that for the first time since ASICs appeared, the Bitcoin mining network will shrink over a two-week period. Manufacturers like Bitmaintech and Spondoolies are seeing a surplus of unsold stock, so they're getting in the game to offer deals for Bitcoin Black Friday. There are a whole host of mining related deals which can be found on Bitcoin Black Friday's website. Are you interested in purchasing a Bitcoin miner, but have no idea where to start when it comes to sorting through the options that are available? One of the better-kept-up lists I've seen floating around the internet as to what deals are available on the market out there can be found at RigWarz.com, where currently the Jackson SP20 takes the top spot. In fact, since it's Black Friday, you can currently pick up the SP20 even cheaper at $695 rather than the $795 which is listed on RigWarz. In addition, ASICSPACE is offering $5/KW/MO off our hosting price through next Monday! Just fill out a form with the coupon code BBF5OFF. Please note that the ROI figure listed on Rigwarz is for comparison purposes only: it's a metric used to sort the rigs by return based on current market conditions, but no guarantee of ROI. In general, the more expensive your electricity is, the more it makes sense to go with more efficient miners like the SP20 over a less-efficient but cheaper in terms of $/Gh miner like the Antminer S3+. 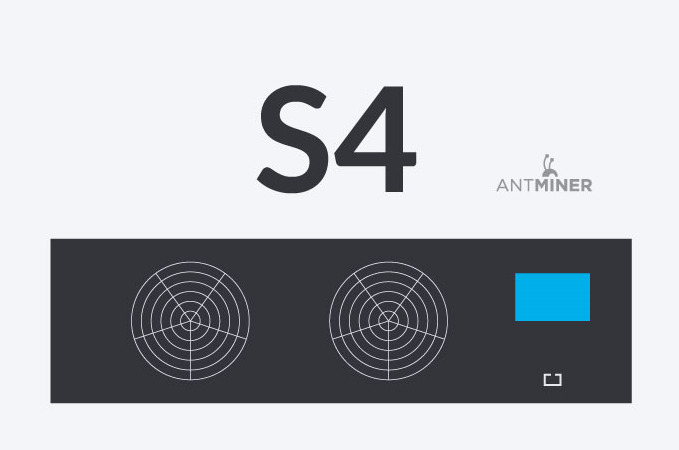 Another thing I should note is that Bitmain has a deal floating around right now, where if you score a coupon, you can get $400 off the S4 and $50 off the S3+. I'm personally moving up to Wenatchee, WA in a week or two, so I'm looking forward to getting back into the home mining game. I'm thinking about picking up an S4 or two: $800 each, 2016 Gh/s and 1399W makes it an attractive offer, and with the lowest electricity costs in the USA, the odds of ROI'ing would seem to be in my favor. Check out RigWarz to see today's best deals! Behind the roaring growth of Bitcoin mining is the unassuming ASIC, or application specific integrated circuit. Since ASICs were first introduced to mine Bitcoin in 2013, we have seen the difficulty of Bitcoin mining take leaps forward as chips have become more powerful and more efficient. A single ASIC-based miner today can pack more hash-power than the entire Bitcoin network had before ASICs were first introduced. To date in 2014 we have seen ASICs turbocharge the network difficulty forward nearly thirty times from the 1.4 billion it stood on January 5th, to the 40 billion at which it stands today. In light of the tremendous growth Bitcoin mining has had behind it, this November marks a new milestone: the monthly daily average growth of the bitcoin network has dipped below half a percentage a day. Check out this graph, complied by bitcoin.sipa.be, which shows the average daily growth rate of the Bitcoin network slowly but surely cool down from a blistering 2% (every day!) to a more moderated 0.5% growth per day that we see now. This is good news for miners wanting to predict how much their miners will make, as earlier this year, the network would grow more than 40% in a month (meaning in one-month, you'd earn 40% less Bitcoin per day) while now it's projected to grow 9% or less monthly. If you want to see for yourself, check out Coinplorer's profit simulator. I suggest testing out the $800 Antminer S4 which runs at 2000 Gh/s at 1400 W.
So what does all this mean? Bitcoin mining is maturing, it has been transformed from a get-rick-quick gamble to a predictable enterprise albeit with lower margins. Petamine, a mining co-op which was vigorous as late as this summer is sputtering in the face of increased competition. The Belgium-based mine gets its electricity from expensive wind and solar, and since it’s published its numbers, it has been revealed that 90% of its profits are now being used to cover its costs. Clearly, miners who have access to cheap power in places like Iceland, Venezuela, Kuwait, and Washington are growing at the expense of miners established in places where they’re paying more than 10 cents/kwh for power, the cost of which is increasingly seen as prohibitive. Are these new changes in the ecosystem permanent? While the Bitcoin mining network may be snoozing right now, over $100M in venture funding has poured into Bitcoin-related startups which are working to develop applications that make it easy enough that your grandmother could use Bitcoin. Also, on the horizon, in Q2/Q3 2015 there is yet another batch of more efficient ASICs due to ship which will send the Bitcoin mining difficulty spiraling to new heights. KNCMiner recently received widespread coverage of their announcement that they will be launching their “Solar” line of 16 nm chips in early 2015. Quietly however, Hong Kong based Black Arrow LTD has been planning to up one-up KNCMiner with an even smaller process. By December of this year, if all goes according to Black Arrow’s plans, 14 nm chips will be cruising down the production pipeline. According to Black Arrow’s schedule, the tape-out date is set to December 2014 with wafers scheduled to be completed in April 2015. Chips will be ready to be shipped in May 2015. Black Arrow’s current 28 nm chip, the Minion, is capable of running at 120 ghash/sec at 0.75 J/gh. Black arrow has a solid history of chip manufacture, although their Prospero line of miners has been plagued by manufacturing issues in which short circuits would occur, melting the board. Black Arrow joins a growing crowd of chip makers who will be moving to 14 nm or 16 nm in 2015. Even if only one or two of them succeed in producing narrower chips, the efficiency gains will be such that currently-existing hardware may be obsolete as soon as late summer, and we’ll see the network difficulty soar to new highs. Northern locales provide free cooling. KNCMiner has announced that they have secured funds for the construction of a new 20MW data center, expandable to 30MW, in Boden, Sweden, near the Arctic Circle. This announcement comes amidst a wave of consumer complaints against KNCMiner for not delivering miners, delivering miners late, delivering defective or off spec miners, pre-mining with their customer’s orders before delivery, or not issuing refunds for their orders. In fact, a class-action lawsuit is shaping up against KNCMiner out of California which accuses KNCMiner of outright fraud. This quite a change from the happy days when KNCMiner could meet its deadline for the shipment of its Jupiter ASICs. "KNC miner blatantly sold broken miners to people! No, they scammed people out of thousands of dollars! They sold me a pile of broken hardware that I couldn’t resell! " “I believe KnC realised that they would make more money by being their own happy customer instead of spending so much money end energy on pleasing unpleasable consumers". In that light, KNCMiner has officially decided in response to consumer complaints that it’s going say sayonara to “unhappy customers” and instead focus on mining for solely their own benefit. The mining bonanza will take place at a new 20MW data center located in Boden, Sweden. Locals call the area the “Node Pole” in reference to the area’s ambition to be a global hub of internet traffic. Cheap hydroelectricity, stable power, and sub-zero temperatures combine to make Boden, Sweden a place idea for the construction data centers like the Bitcoin data center KNCMiner is building. If obtaining funding for a new 20MW datacenter were not enough good news for KNC, the piece de resistance may be KNC’s recent announcement that it will launch deployment of its 16 nm "Solar" line of chips early next year which KNC claims will be ten times more power efficient than its 20 nm Neptune chips. All-in-all, if KNCMiner’s plans unfold as they hope, it will qualify as a roaring success for the Swedish mining outfit. That success, however is bittersweet, as many of KNC’s former customers feel that KNC’s new triumphs are being built on the backs of the promises and preorders that KNC made, but on which they did not deliver. KnCMiner has annouced that it will launch deployment of its "Solar" line of chips in Q1 2015. Based in Sweden, KnCMiner has indicated that its new chip will have a 16 nm process, which represents an improvement over the 20 nm process which was used in the Neptune. KnCMiner was first to market with a 20nm process with the Neptune, which achieved an efficiency of 0.7 W per Gh/s. If a 20 nm process can achieve an efficiency of 0.7 W per Gh/s, then what do you think the Solar line of chips can achieve? Well, if sources at KNC are to be believed, a ten-fold improvement is to be had at 0.07 W per Gh/s. In other words, a 1.4 KW miner which could run from your 15 amp home outlet could hash at a rate of 20 TH/s. Yikes! The technology which enables this leap in efficiency is called FinFET which allows chip designers to scupt transistors in 3D, instead of the standard planar modeling. The Solar ASIC, which features 5000 cores, has yet to go into full production. Whether the Solar manufacturing rollout goes smoothly or whether it will be plagued by manufacturing issues like those which sunk manufacturer Hashfast remains open question. Time will tell. Bitcoin miner hosting something you need? Our miner hosting service explains the pros and cons of getting hosted vs. buying cloudmining. Wondering what options there are out there if you'd like to host your Bitcoin mining rig? Hostedmining.com lists several Bitcoin miner hosting providers, including Hashplex, ASICSPACE, Bitcoin ASIC Hosting, and Gaw Miners. Prices can range from as low as $95/KW/Month at ASICSPACE, to $165/KW/Month at Bitcoin ASIC Hosting. Check out the Bitcoin Miner Hosting Directory. With it's retro graphics, you would not expect the phone game Bitcoin Billionaire to be as good of an addictive click-fest as it is, but as much am I am loath to admit it, Bitcoin Billionaire ended up wasting my entire evening last night. Good thing I'm here to blog about it. Bitcoin Billionaire is a mining-inspired title, where you as a upcoming Bitcoin miner, start as a neckbeard in your mother's basement and slowly, with enough clicks, work your way up to living in a mansion on your private island. Although this game has no skill required, it is satisfying to see the amount of virtual Bitcoins you have slowly rise until you can have a cup of tea with Satoshi himself. Download it at the IOS App Store. Bitt, a caribbean startup has closed its seed round of investment to be devoted to merchant processing, online exchange services and global remittance services. With millions of unbanked and underbanked people in the Caribbean, Bitt Inc. will enable low cost international online trade as well as secure digital banking for the people that need it most. Similarly, Bitt Inc. will facilitate remittance to the Caribbean at a fraction of the cost currently charged by traditional money transmitters. Check out the just launched service at bitt.com.